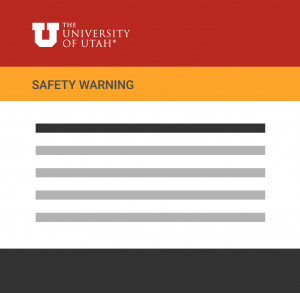 The University's campus-wide notification system is designed to deliver important campus information in a timely manner via email. Alerts are color coded according to the level of importance — yellow for general safety information, orange for important safety information and red for emergencies requiring immediate action. When you receive an alert, we encourage you to spread the word. Thank you for taking the time to familiarize yourself with this system and making our campus a safer place for everyone. From time to time you will receive a yellow "General Safety Information" alert with information you can use to avoid inconvenience and disruptions. Most often these alerts concern emergency roadwork, business continuity interruptions or inclement weather. On rare occasions, you might see an orange "Safety Warning" alert informing you of a significant issue that could affect your safety, such as a widespread power outage or severe weather. This alert will include detailed safety instructions. 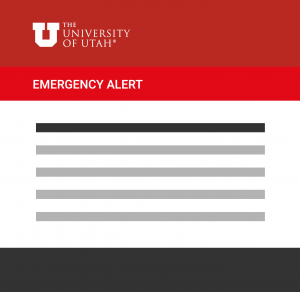 "Emergency Alerts" are sent by both email and text, and are reserved for critical emergencies requiring immediate action — including natural disasters and other situations posing a direct and immediate threat to personal safety. This alert or subsequent messages will include detailed safety instructions.